The 8 cu/ft Gas Stone Mortar Mixer 8HP MM-858H-S by Toro is perfect for a multitude of mixing applications. Toro's line of Stone mixers are a versatile line of mixers available for every job and mixing requirement. 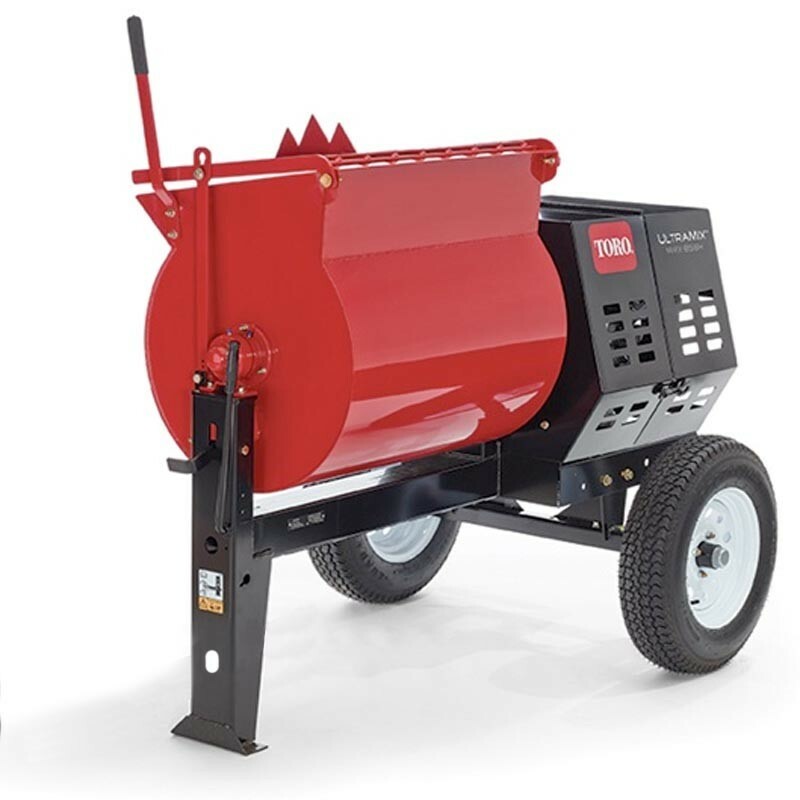 Toro's deluxe mid-range mortar mixer offers an electric motor, a durable steel drum, and 1-1/2 - 2 bag capacity for versatility and productivity. Choose from three tow pole options (pintle, stamped, forged). The 8 cu/ft Gas Stone Mortar Mixer 8HP MM-858H-S by Toro is equipped with strong steel paddles for fast, complete mixing.